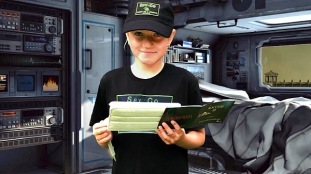 Spy Party For Kids - Spy Missions Available Nationwide! Spy Party - This is how it works! Birthday Party - Info Spy Mission 1. Birthday Party - Info Spy Mission 2. Birthday Party - Info Spy Mission 3. Birthday Party - Info Spy Mission 4. Spy party - all over the UK! Live contact with Octagon - Head of all Spy:Co Agents! Star in your own Spy movie? Nöjda kunder enligt vårt kundformulär! Our spy parties has 99,7% very happy kids and parents! How does a Spy:Co party work? A GUARANTEED THRILLING SPY PARTY FOR KIDS! To throw a spy party should be easy and great fun! That's why we created Spy:Co. Modern technology mixed with useful and exciting facts about secret agents and spy history! How do you write a secret message? What is a coding machine, can you always trust your eyes...and much, much more! Give us a call at Spy:Co! We help you arrange an exciting and unforgettable spy birthday party for boys and girls between 6 and 11 years old. The thrilling Spy:Co missions are all built on curiosity, dedication and cooperation! You can book the children's spy party directly online. Our spy parties can be arranged nationwide!